Last Updated: September 10, 2015 | Subscribe to our weekly newsletter! You may spend countless hours carefully managing your hot tub’s water, but that doesn’t mean that you ever think much about the plumbing. Over time, your hot tub’s plumbing can become coated with slime, sludge, and grime that can contaminate your water supply and even make you sick! It is important to periodically flush out and clean your hot tub plumbing if you want to make sure your water quality is always at its best. But pipes aren’t as easy to get to as the water and shell of your hot tub. So how do you do it? You may be thinking that with all the chemicals you pour into your hot tub, a good plumbing cleaning just seems unnecessary. However, over time even when you properly take care of your hot tub, the plumbing inside your hot tub can begin to accumulate mineral deposits, dirt, grime and much more inside them that normal chlorine If you click this link and make a purchase, we earn a commission at no additional cost to you. simply can’t take care of on its own. Periodically, you should consider flushing out your plumbing If you click this link and make a purchase, we earn a commission at no additional cost to you. to get rid of this buildup so your water stays as clean as it possibly can. So how often should you flush the pipes? A good rule of thumb for you to go by is whenever you drain your hot tub, go ahead and flush the plumbing as well. Depending on your hot tub use, you should drain and clean it once every 3 months and maybe even more often if you use your hot tub frequently. So how do you tell if it is time for a good plumbing cleaning on your hot tub? If you notice slime forming in your water or if the water is cloudy and you smell musty odors, it could be time to flush out your system. Another more serious warning sign is skin rash. If you get a rash on your skin a few days after using your hot tub, it is definitely time to give it a good cleaning. While you may regular take steps to treat the water in your hot tub, periodically you need to give your hot tub’s plumbing a little tender love and care as well. When cleaning your hot tub’s plumbing, there are a few steps you need to take to be sure it gets cleaned the right way. 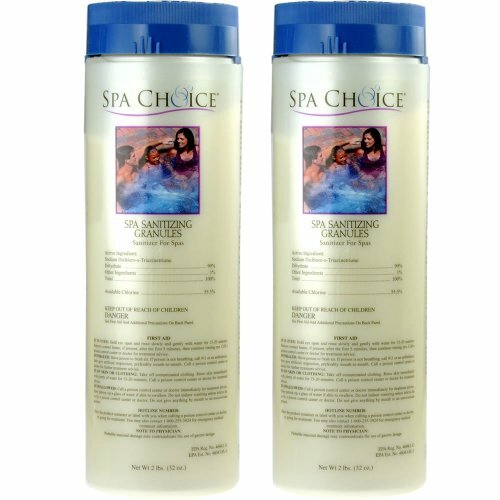 Remove the filter from your hot tub and clean it If you click this link and make a purchase, we earn a commission at no additional cost to you. . If it is a year old or more or if it looks like it is in bad condition, replace it If you click this link and make a purchase, we earn a commission at no additional cost to you. . Consult with the manual for your hot tub to be sure you purchase the correct filter for your hot tub. While you will be changing the water, you need a decent base to start your cleaning process. So, using the water that is in the hot tub, add shock If you click this link and make a purchase, we earn a commission at no additional cost to you. and allow it to circulate through your hot tub and clean as much of the water killing any bacteria that may be present in the process. Circulate the water at high speed during this process and allow it to run for at least 30 minutes, if not longer before you continue. Next, add a line flush product If you click this link and make a purchase, we earn a commission at no additional cost to you. to the hot tub, turn the jets on high, and allow the water to circulate for 15 to 30 minutes. This system flush will break up much of the sludge and grime that has built up inside the pipes of your hot tub and allow it to become trapped in the filter. Once the water has circulated, turn the hot tub off, cover it, and let it sit for at least 5 hours. You can also do this in the evening and let it sit overnight if that’s more convenient. Before you drain your hot tub, go ahead and clean the filter again and replace it in the system. Drain all the old water from your hot tub safely and then refill it with fresh water. Use a hose filter If you click this link and make a purchase, we earn a commission at no additional cost to you. to keep as many contaminants out as possible. Once the hot tub is filled, test the water If you click this link and make a purchase, we earn a commission at no additional cost to you. and add the proper chemicals to balance it properly and allow the water to circulate through the hot tub for at least 8 to 12 hours. After your hot tub has circulated, retest the water If you click this link and make a purchase, we earn a commission at no additional cost to you. and consider shocking the new water to ensure that you have removed any dirt, grime and bacteria from the hot tub. If you do shock the hot tub If you click this link and make a purchase, we earn a commission at no additional cost to you. , you will need to retest the water again and be sure your water is properly balanced before you begin to use it again. Sometimes, the pipes of your hot tub will simply be too gunked up with grime, dirt and all manner of nastiness that you just can’t take care of it with a simply chemical flush. When this happens, you need to either put your best plumber hat on or call in a professional. As they say, it is what is inside that truly counts, and the same goes for your hot tub. No matter how clean the outside and the shell of your hot tub is, if the plumbing is dirty, your water quality will suffer. Cleaning the plumbing of your hot tub doesn’t have to be difficult, if you do it regularly, you will quickly be able to flush out the system and remove any dirt, grime and sludge that may have accumulated over time. Perform a hot tub deep clean to clean those hard to reach areas so you can make sure your hot tub is safe and ready for bathers for years to come. Knowing how to clean the inside shell of a hot tub is key to making sure your hot tub is clean and ready when you want to enjoy the warm, soothing water. Learn what you need to do to get rid of mildew on hot tub pillows so they always smell fresh and feel like new. Need to remove a bit of dirt from your hot tub between cleanings? Got any Silly Putty on hand? If not, we have other ideas to help you get the yuck out.